Large lion wall mount fountain mask with simple spout. 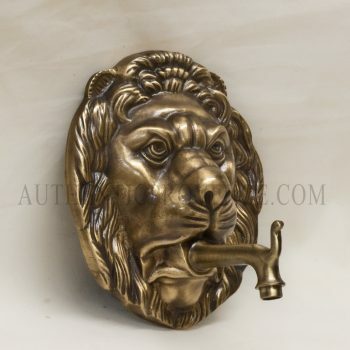 Categories: Garden Fountains, Fountain Spouts. 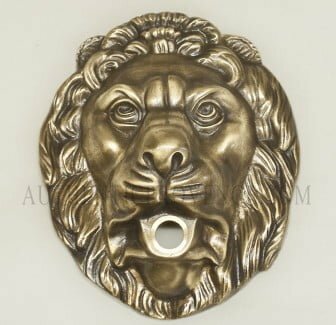 Tags: ANIMAL, BRASS, LION, MASK, METAL. 10.37 H in. x 8.75 W in. x 3.75 D in.